The Wellington Mountain Bike Club is proud to present the 2019 Wainuiomata Enduro. Last year, Wainui rounded out the 2018 Enduro Series. Those of you who raced will no doubt recall the damp conditions (to put it lightly) but despite that, a cracker day on the Wainuiomata trails. This year, we've bumped it up the schedule to March. Tracks will be confirmed closer to race day, but we can tell you there is something for everybody including one of the longest runs of the Series. For more information on the Wanuiomata Trails, visit Trailforks. 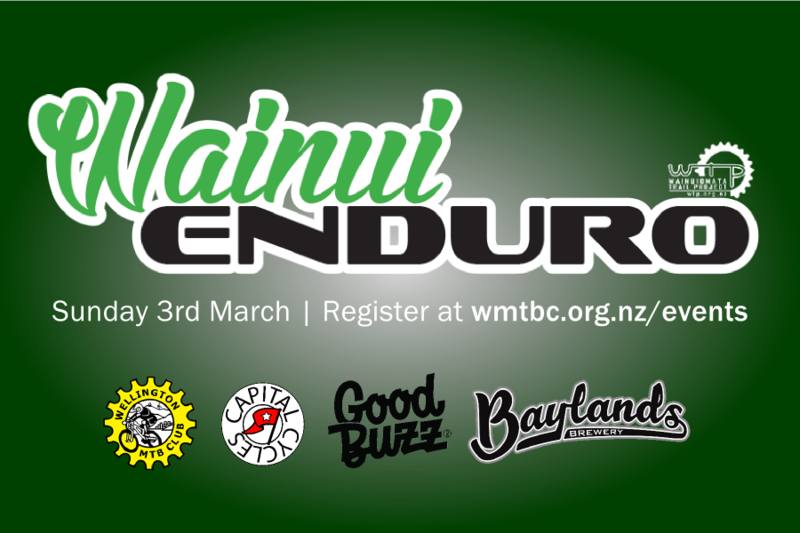 This is the fourth race in the 2019 Wellington Enduro Series. Points from this race will contribute to your overall WES ranking. Online registration closes Saturday 2nd March, 9pm. There may be limited on the day entries. Registering online is highly recommended to speed things up on the day and save a few dollars on registration. Registration on the day will be held at the race village, Waiu Park, Wainuiomata. All competitors must attend their race briefing at 9:15am or they will not be permitted to take a race run. If possible, please ride to the event. However if you do drive, remember that there is limited parking in the Waiu carpark, but ample on Waiu Street.